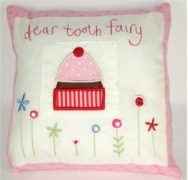 Little white & pink cushion with embroidered pocket - just the right size for a tooth awaiting collection! Wooden tea party motifs suspended within this child's mobile. 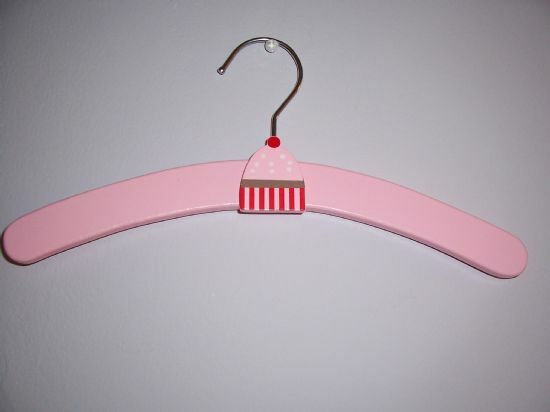 Wooden children's clothes hanger with teacake design. 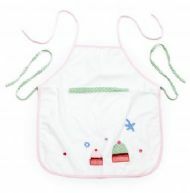 Cotton appliqued apron in Tea Party design. 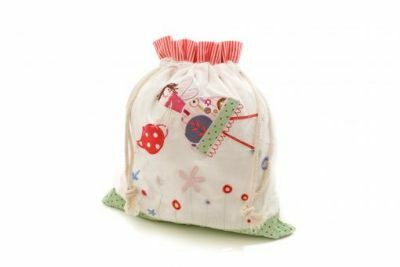 Suitable for ages 3-7 years. 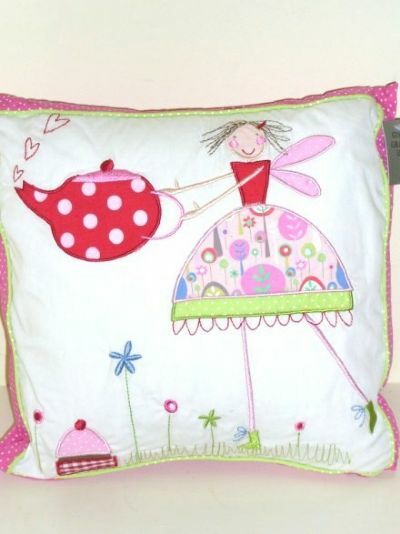 Applique drawstrung bag in fairy's tea party design. Embroidered cushion in Fairy's tea party design. 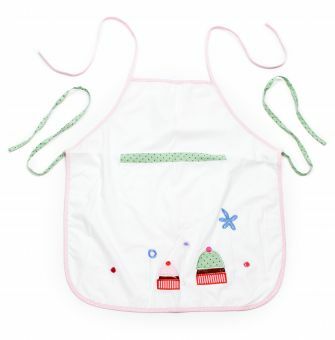 Cover removeable for washing.